About 150km north of Venezuela’s Caribbean coastline lies one of the least visited archipelagos in the world: Los Roques National Park. The Park is a giant coral reef skimming the surface of the turquoise waters, comprising 50 white-sand islands and 200 beaches and islets. Visit the remote islands of the archipelago to relax on the white-sand beaches or swim in the crystal clear waters. 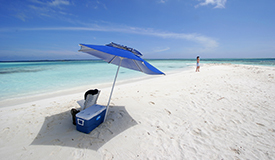 Explore the underwater world by diving or snorkeling and visit the flats for exciting bonefish fishing. To the South of the Orinoco River you will find Canaima National Park, the world’s third largest park, a tropical paradise with an infinite variety of natural resources and breathtaking landscapes. 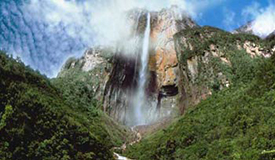 It houses the world´s highest waterfall towering 979m into the sky: the Angel Falls. You will also see other wonders in this area such as the Canaima lagoon, an enormous backwater formed from the turbulent waters of the Carrao River, and Kavac, a waterfall in a small canyon. 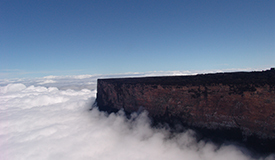 Roraima Tepui, one of the largest and highest mesas in this region with 2.810m, sits at the tripartite border of Venezuela, Brazil and Guyana. Roraima is home to an abundance of endemic flora and fauna species. Roughly half of the flora identified in the “Lost World”, from Sir Arthur Conan Doyle, exists only on Roraima and nowhere else in the world. Isolated from each other and towering over the savannah, these fascinating mesas are biological wonders. In the north of South America, we find one of the most exotic and diverse countries of the continent: Venezuela. Fly over the world highest waterfall in the Gran Sabana with it´s prehistoric mesa-mountains (tepuis) or drive between the crocodiles in the tropical lowlands. Hike the Andes Mountains or just relax at one of our idyllic beaches. Travel the mighty Orinoco River through the AMAZON’s tropical rainforest and meet indigenous communities. This is only a sample of the wonders Venezuela offers you. At Natoura we do our best to ensure that you feel at one with the natural environment, we do this by taking special care of the fragile ecosystems we visit. We are an experienced and innovative team working hard toward sustainable tourism in Venezuela. We employ professional local naturalists as guides in order to better share with you the natural treasures of Venezuela. We hope you get the chance to experience Venezuela’s natural wonders and look forward to see you! Carolina or one of our other friendly staff would be happy to assist you!